There's been a wave of modern psychedelic music the past few years, and we've been all for it. 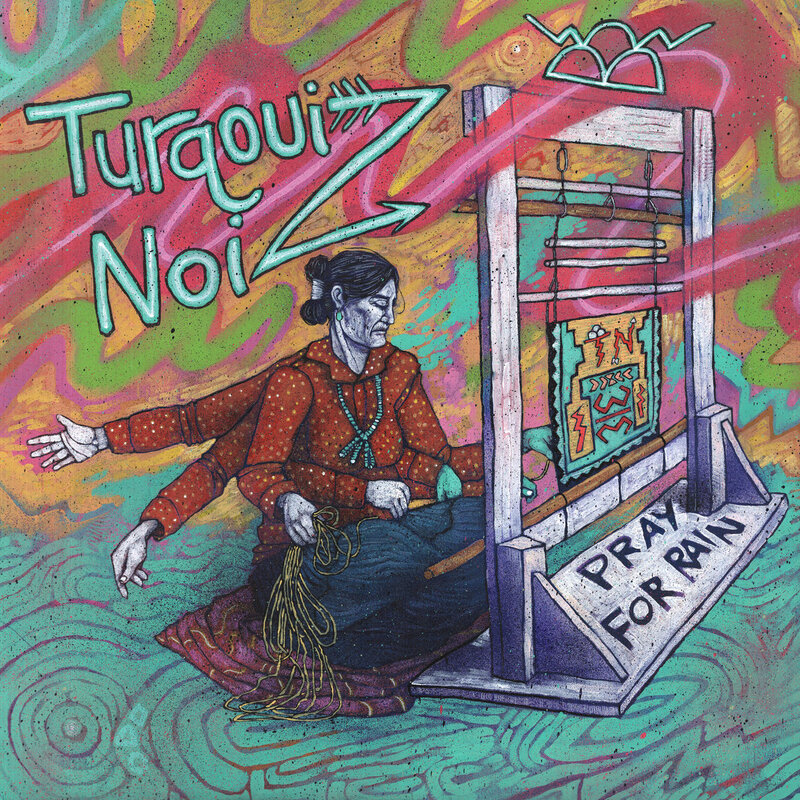 If you love psychedelia but hate the hippie vibes it usually entails, the new album from Oakland's Turqouiz Noiz is worth your time. Sure, it has some trippy qualities, but it has some punk aggression mixed with some of the poppy noise of indie rock. A song like "Meaty Mart" sounds like if Guided By Voices were more into drugs than booze. "1984" is an insane, frenetic burst of energy and noise, like if the Descendents's "Wienerschnitzel" was a fully formed trippy song. "Paperbag" is a little more traditionally psychedelic, like a more mellow version of The Stooges's freak outs. You can listen to "Meaty Mart" below. Pray for Rain is available now via Related Records. You can get your copy via Bandcamp. For more on Turqouiz Noiz, check them out on Facebook.